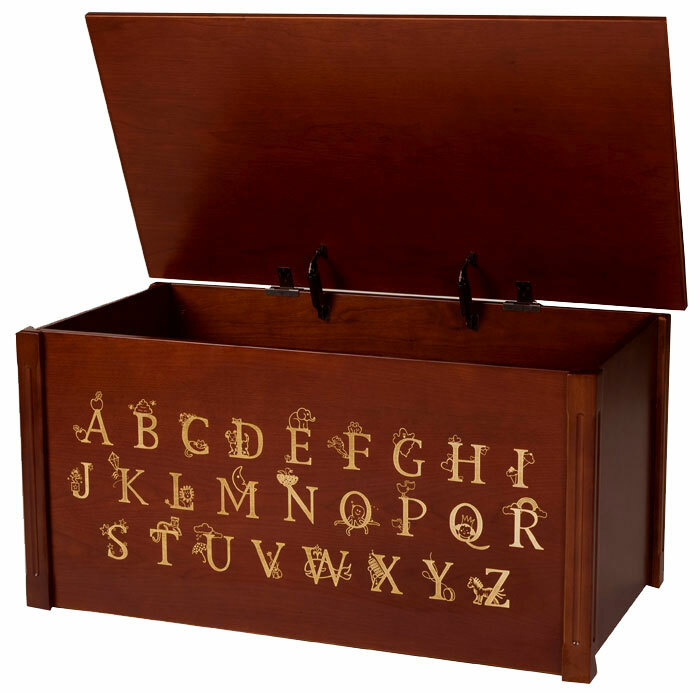 This Dark Cherry Toybox with full Alphabet features a classical design and quality sold wooden construction. 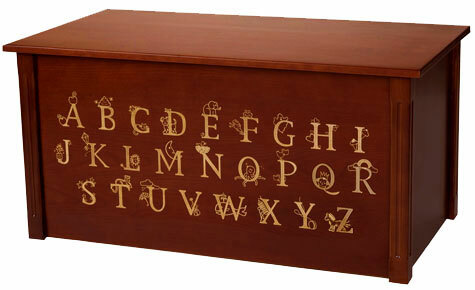 The laser engraved full thematic alphabet will help kids learn ABC and have fun while learning. 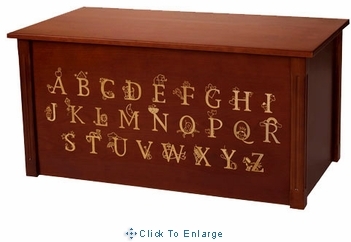 It's a perfect treasure toy box that can pass on for generations. Optional wooden cedar base: You can add a solid cedar base in the bottom of the toybox/toy chest. The cedar base is made of aromatic tongue and groove cedar boards that would protect cloth items from insects. Shipping: This item will ship from Bismarck, ND within 2-3 weeks via FedEx.